Ready to revive your team? Payment Systems Available CLICK HERE NOW! Need a thirst quencher? Satisfy your thirst, fast. serving great customers, being mobile and earning a good living. give your team a pick-me-up when they need it. Provender is New Zealand's leading nationwide refreshment vending franchise, because we give customers what they want, when they want it. We are not tied to one food or drink manufacturer, so are not limited by what we can supply your team. If you want the best variety Vending machines or Honesty Boxes, talk to Provender. We deliver you all the right goods! We are a 100% New Zealand owned and operated, family business. We have the greatest variety and best selection of premium Cold Drink Vending Machines (cans and bottles), Coffee machines and Hot Drink Vending Machines, Snack Vending Machines, Combination Vending Machines (snacks and drinks), and Healthy Snack options. Our experienced Franchise Owner-Operators supply businesses, clubs, universities, polytechnics, secondary schools, hospitals, pools, transport hubs, airports and leisure centres with all the quality brands your staff, club members and visitors love, so they can rehydrate and get a quick energy boost when needed. When it comes to energy revival, nobody does it better than Provender! Nothing beats an ice cold drink, and Provender will ensure you never go thirsty. We can keep your fridge full with as many options as you like, or supply glass fronted vending machines for added convenience. From honesty Snack Boxes with an extensive range of healthy snack options, through to a Big Snack Centre vending machine with up to 40 product selections, we have everything you need to keep your team and visitors charged. Nothing beats the taste of real coffee, or the convenience of having it good to go in your office. Keep your staff happy and productive with a real Provender Coffee Machine! 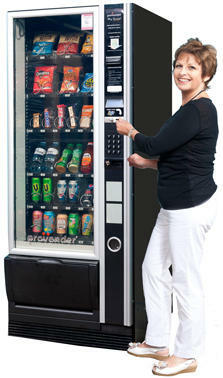 As New Zealand's leading vending franchise, we have the greatest selection of refreshments available. None of our competitors can touch our variety or service. We have all the big brands you know and love as well as our own. Try us today! We worked with nutritionists and dieticians to create our Lifestyle-Balance range, which is high in fibre, low in fats and sugars, is gluten-free and less than 200 calories. We also introduced ½ Now ½ Later™ to encourage portion control and energy intake. We offer great opportunities for customer-focused, self-starters who enjoy getting out on the road and being independent. We offer top systems, training and support, along with a great team and reputation as New Zealand's leading vending franchise. Take a closer look here.